Welcome back! Well, we now know a bit more about Stained Glass from Dublin, Istanbul, and now to learn and see a bit from Cairo. Here is some snips and pictures, Enjoy! Up to the Abbasid era (AD 750-868) the glass industry was dominated by Alexandria and Syrian, but the Abbasid Caliph Harun Al-Rashid valued enameled and gilded glass works. This became the finest gift that the Caliph could bestowed on his favorites. In Egypt during the Tulunid era (AD 868-905), special attention was given to stained glass surfaces as well as lanterns and vessels. Sultan Ahmed Bin Tulun (AD 868-883) renovated glass workshops in Alexandria. 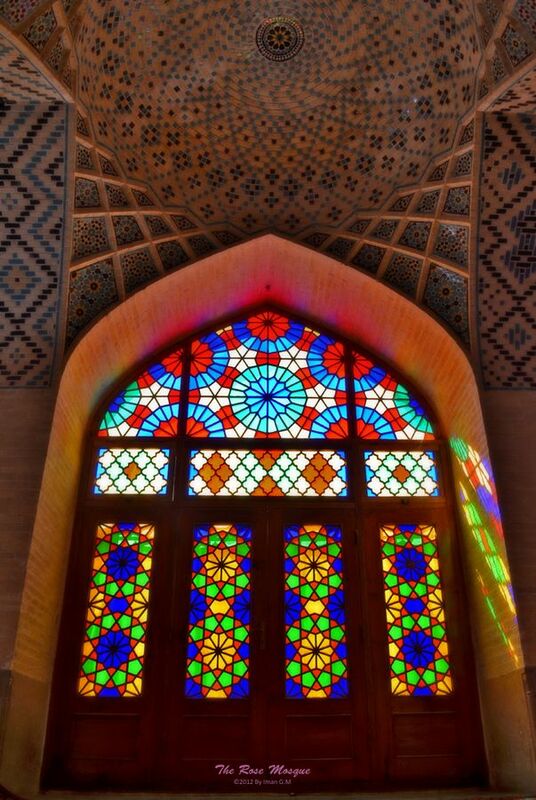 Architecture in Egypt made use of stained glass in mosques, houses, palaces and khankawat (monastic complexes). Stained glass windows varied in their style, ornamentation, and color according to the kind of building and to the era of construction. Cairo abounds in buildings with stained glass windows of all periods from the ninth century to the twentieth. In modern Egyptian architecture stained glass has been used for exterior and interior decoration, set in stucco, lead and other materials. Variations on the motif of colored light are evident in the use of mosaic walls receiving light from outside through clear glass. In many recent public buildings, such as theaters, cinemas and offices, glass is coupled with steel. Transparent glass surfaces colored with thermal dyes has been used for sculpture or for interior decoration. 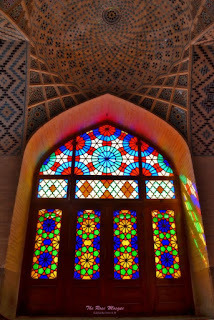 Virtually every major building erected in the twentieth century has transparent or stained-glass panes in the form of windows, partitions, or fixed or movable walls. This information is brief, just to show some of the distinct styles. That is all for now! More to follow. May sunshine fill your day!